When it comes to the tree care industry your rope is literally your lifeline. Not only does rope protect you from falling, but it can also be used for other applications. As an arborist, the possibilities with rope are nearly endless. Our selection of rope and hitch cords provides nearly every kind of rope you’d need. From flipline and throw-line to prusiks (hitch cord) we’ve got the gear to help you get the job done and stay safe. Not sure what you need, or looking for something in particular? 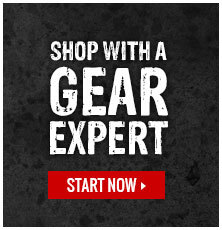 Click here to contact on of our Gear Experts®.